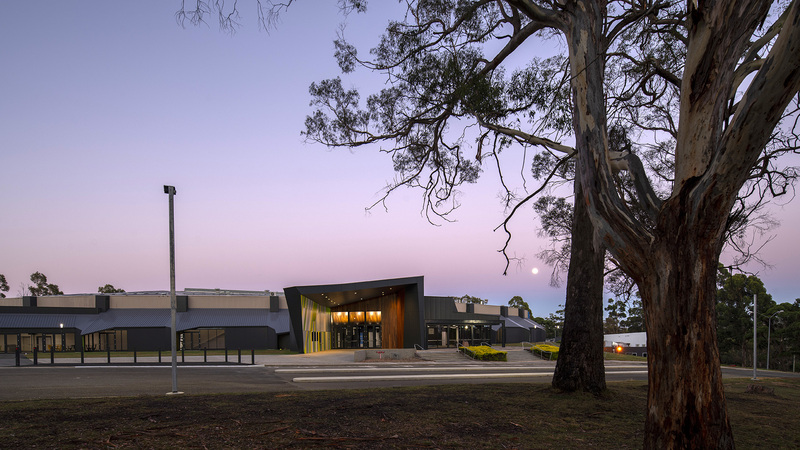 The Silverdome project represents the revitalisation of a Northern Tasmanian Sporting Landmark which was constructed in 1984. 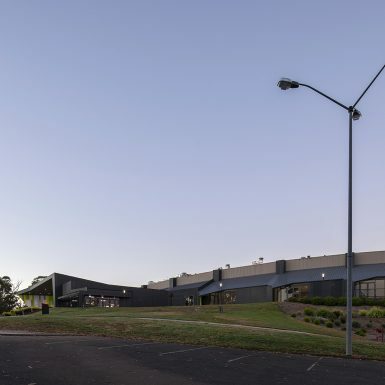 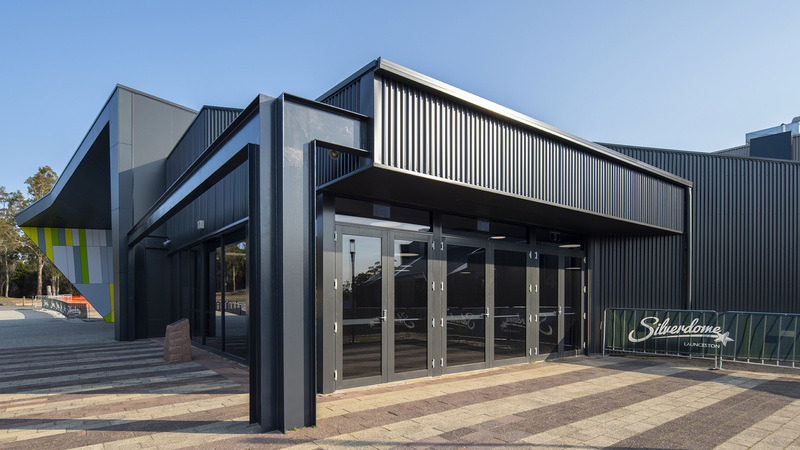 Through this project the facility has been updated to improve patron experience through built way finding elements, increased indoor environment quality, a commercial kitchen and retail space, and two multipurpose zones for the staging of large events. 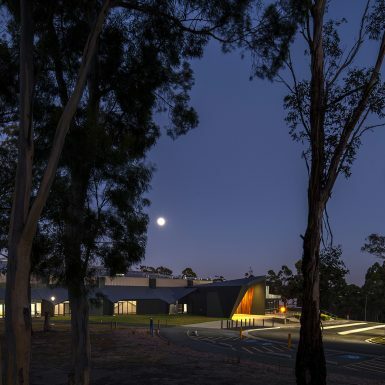 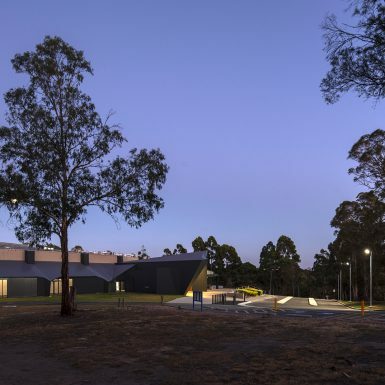 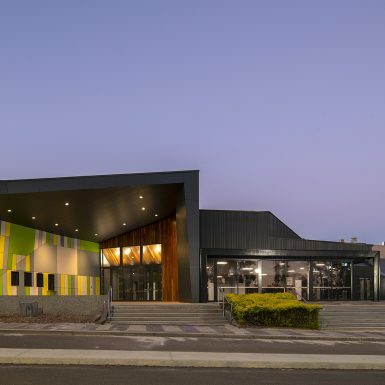 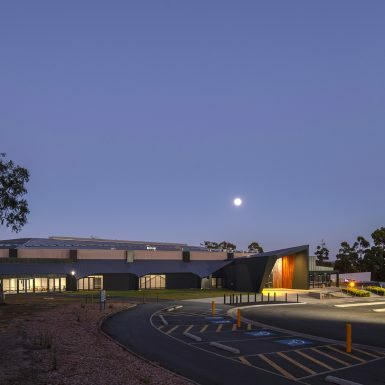 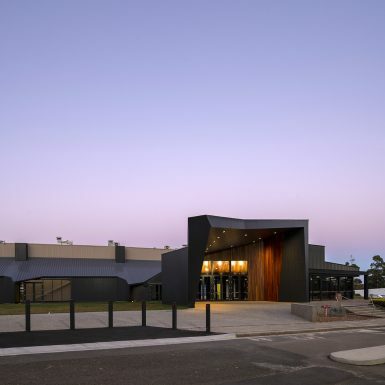 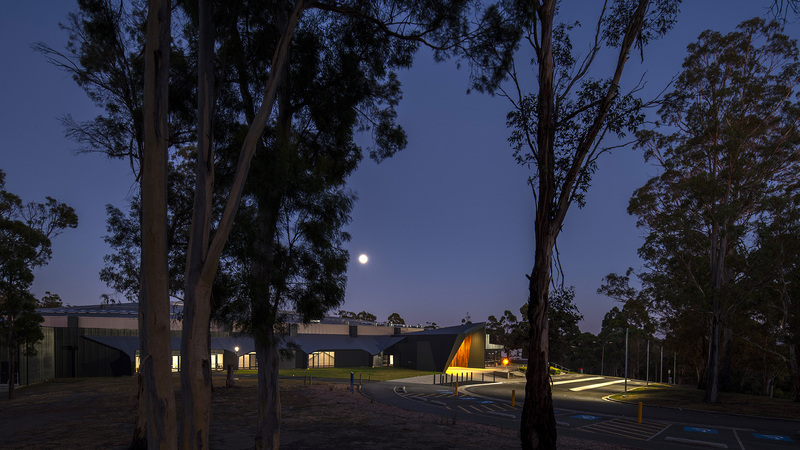 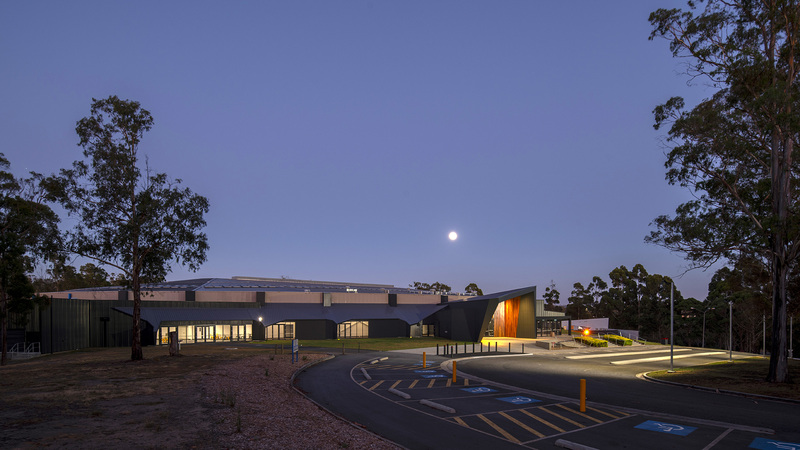 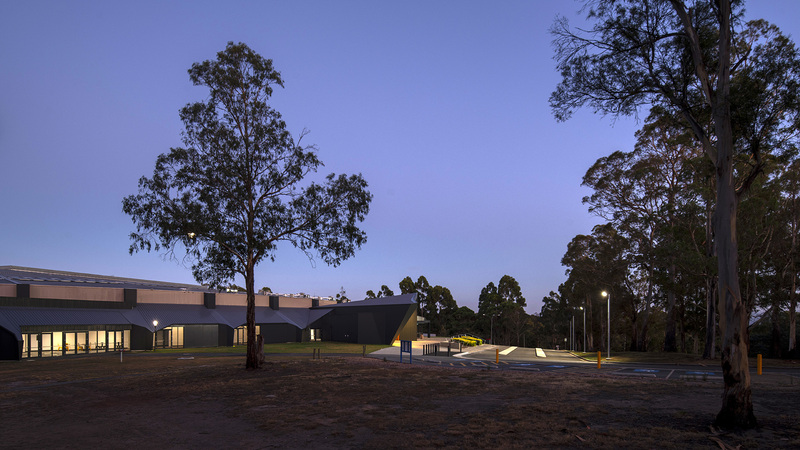 The design is inspired by the internal function of the building and it’s context within the Kate Reid reserve and deliberately meshes the energy generated by the cyclists on the track with a material pallet of warm timbers and quintessential Australian sporting colours. 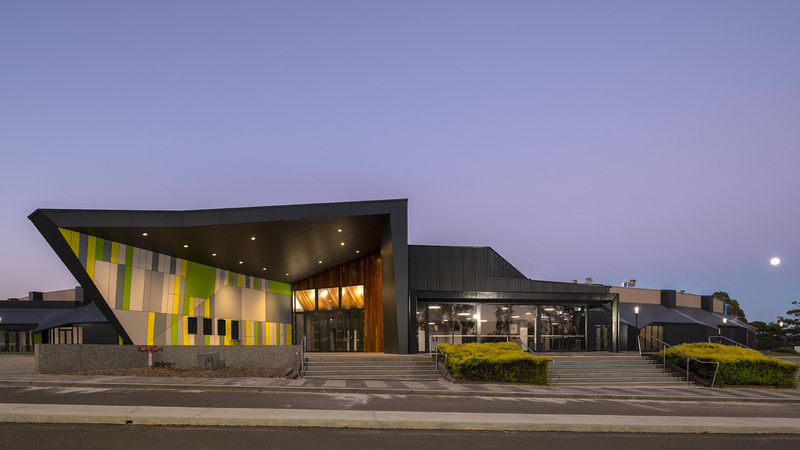 The centrifugal forces generated through cycle track racing have influenced the form of the concourse roof and in periodic places along the façade the envelope is broken and light and colour is spun out of the building. 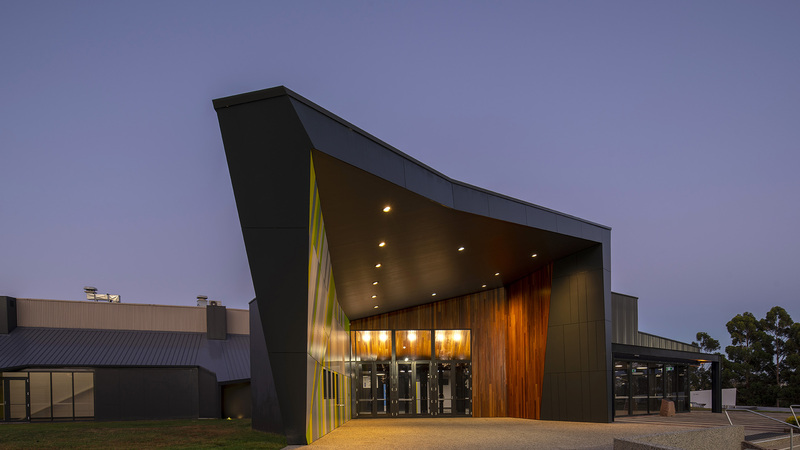 The façade is symbolic of movement and the shapes and form could only be created with a highly insulative panel which is self-supportive and prefinished. 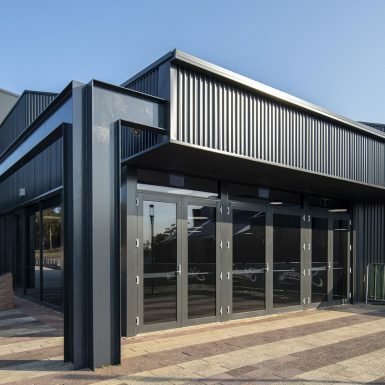 The performance of the panels exceeds the thermal requirements of the National Construction Code and are light enough to be hand installed onsite reducing the need for heavy machinery and producing accelerated construction times. 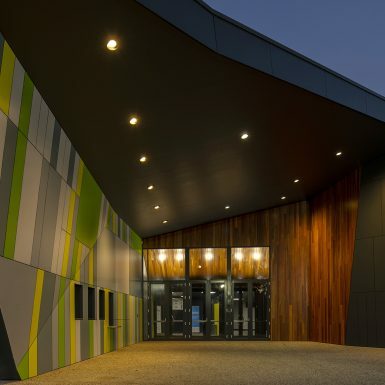 The high-performance façade is naturally ventilated by electronically actuated glazed louvers which are linked to the building management system, the louvers will open when required delivering fresh air to the building and at the same time hot air is purged at high level through solar chimneys. 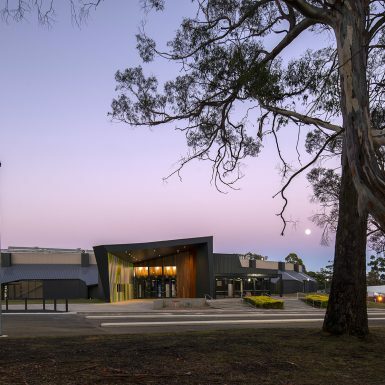 The striking front entrance was conceived during master planning considerations when it was identified that it was unclear to first time users of the site where the arrivals precinct was. 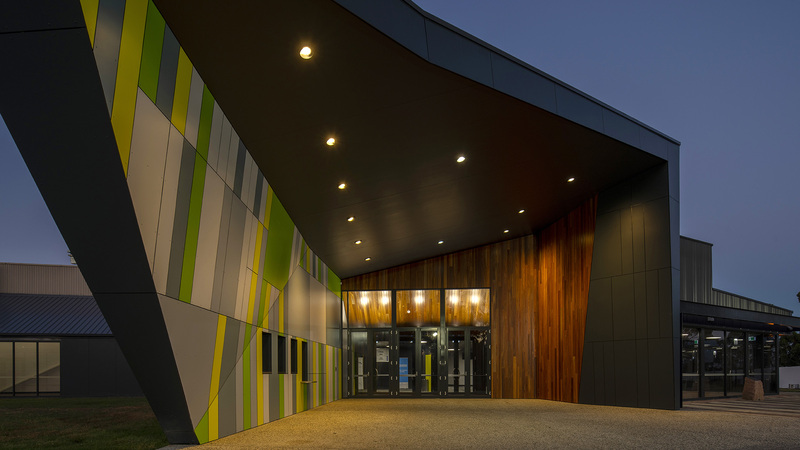 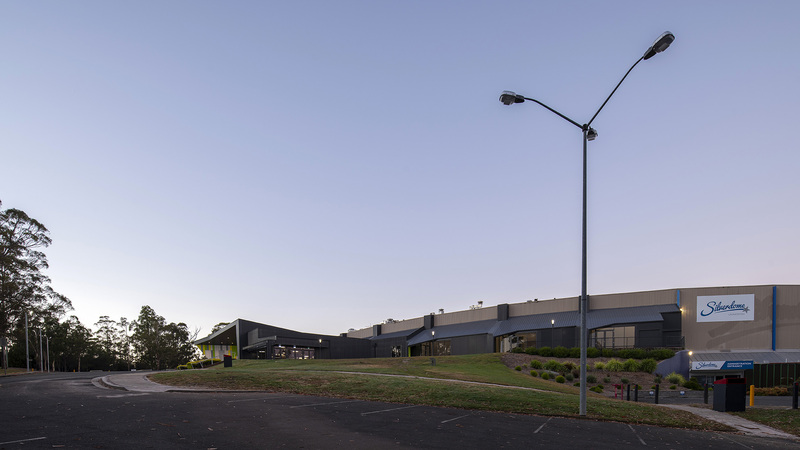 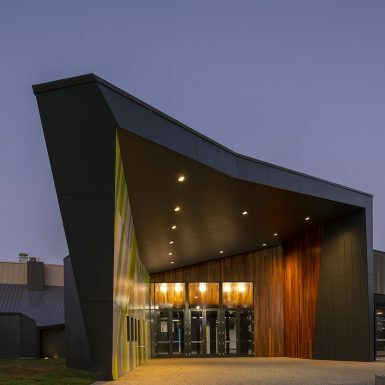 The entrance presents to these users arriving by vehicle a colourful way finding element which leans out and away from the existing velodrome in a dramatic departure from the existing architectural language. 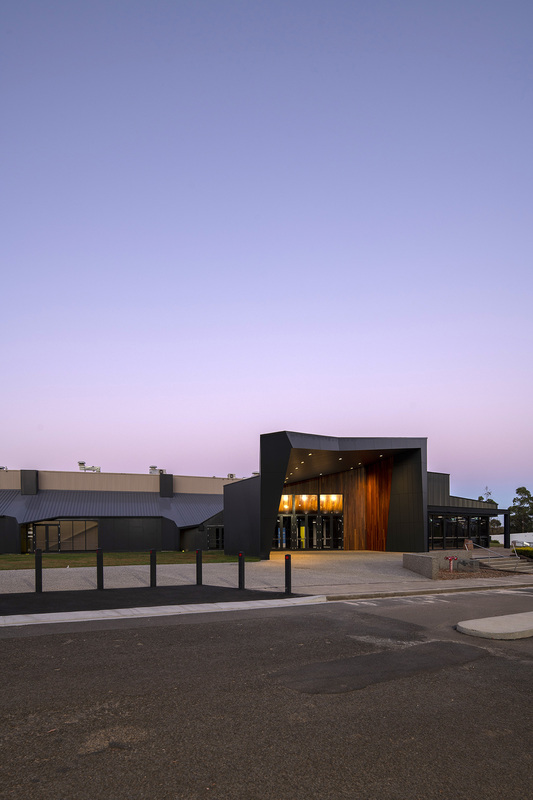 For the users approaching from the reserve either on bike or walking the entrance is far more reserved and presents the warm welcoming tones of timber, light and shelter.